Measurement of the S21,consists of 10 sweeps, each sweep contains 601 frequency points with spacing of 0.167MHz to cover a 100MHz band centered at 2.4GHz. 3D road network with highly accurate elevation information (+-20cm) from Denmark used in eco-routing and fuel/Co2-estimation routing algorithms. This data set compromises the metadata for the 2013 AAAI conference’s accepted papers (main track only), including paper titles, abstracts, and keywords of varying granularity. This data set compromises the metadata for the 2014 AAAI conference’s accepted papers, including paper titles, authors, abstracts, and keywords of varying granularity. The objective is to determine the set of boolean rules that describe the interactions of the nodes within this plant signaling network. The dataset includes 300 separate boolean pseudodynamic simulations using an asynchronous update scheme. The database was created with records of absenteeism at work from July 2007 to July 2010 at a courier company in Brazil. This dataset comprises information regarding the ADLs performed by two users on a daily basis in their own homes. The dataset collects data from a wearable accelerometer mounted on the chest. 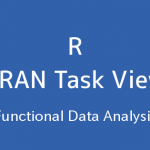 The dataset is intended for Activity Recognition research purposes. This dataset contains temporal data from a Wireless Sensor Network worn by an actor performing the activities: bending, cycling, lying down, sitting, standing, walking. Sequential motion data from 14 healthy older people aged 66 to 86 years old using a batteryless, wearable sensor on top of their clothing for the recognition of activities in clinical environments. The data was created by a medical expert as a data set to test the expert system, which will perform the presumptive diagnosis of two diseases of the urinary system. Contains the responses of a gas multisensor device deployed on the field in an Italian city. Hourly responses averages are recorded along with gas concentrations references from a certified analyzer. Contains the responses of a gas multisensor device deployed on the field in an Italian city. NASA data set, obtained from a series of aerodynamic and acoustic tests of two and three-dimensional airfoil blade sections conducted in an anechoic wind tunnel. Amazon’s InfoSec is getting smarter about the way Access data is leveraged. This is an anonymized sample of access provisioned within the company. The dataset is used for authorship identification in online Writeprint which is a new research field of pattern recognition. Log of anonymous users of www.microsoft.com; predict areas of the web site a user visited based on data on other areas the user visited. Acoustic features extracted from syllables of anuran (frogs) calls, including the family, the genus, and the species labels (multilabel). Experimental data used to create regression models of appliances energy use in a low energy building. The datasets’ positive class consists of component failures for a specific component of the APS system. The negative class consists of trucks with failures for components not related to the APS. ARCENE’s task is to distinguish cancer versus normal patterns from mass-spectrometric data. This is a two-class classification problem with continuous input variables. This dataset is one of 5 datasets of the NIPS 2003 feature selection challenge. Distinguish between the presence and absence of cardiac arrhythmia and classify it in one of the 16 groups. Exhaustive one year non-confidential data in the year 2015 to 2016 of firms is collected from the Auditor Office of India to build a predictor for classifying suspicious firms. This data consists of sample of Auslan (Australian Sign Language) signs. Examples of 95 signs were collected from five signers with a total of 6650 sign samples. Autistic Spectrum Disorder Screening Data for Adult. This dataset is related to classification and predictive tasks. Autistic Spectrum Disorder Screening Data for Adolescent. This dataset is related to classification and predictive tasks. AutoUniv is an advanced data generator for classifications tasks. The aim is to reflect the nuances and heterogeneity of real data. 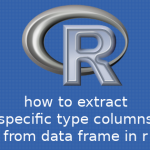 Data can be generated in .csv, ARFF or C4.5 formats. The Avila data set has been extracted from 800 images of the ‘Avila Bible’, an XII century giant Latin copy of the Bible. The prediction task consists in associating each pattern to a copyist. The data set is composed of 60 chorales (5665 events) by J.S. Bach (1675-1750). Each event of each chorale is labelled using 1 among 101 chord labels and described through 14 features. This data set contains five text collections in the form of bags-of-words. The data is related with direct marketing campaigns (phone calls) of a Portuguese banking institution. The classification goal is to predict if the client will subscribe a term deposit (variable y). Data were extracted from images that were taken for the evaluation of an authentication procedure for banknotes. BAUM-1 dataset contains 1184 multimodal facial video clips collected from 31 subjects. The 1184 video clips contain spontaneous facial expressions and speech of 13 emotional and mental states. A multilingual audio-visual affective face database consisting of 1047 video clips of 286 subjects. The database was created with records of behavior of the urban traffic of the city of Sao Paulo in Brazil. This hourly data set contains the PM2.5 data of US Embassy in Beijing. Meanwhile, meteorological data from Beijing Capital International Airport are also included. This dataset contains the hourly and daily count of rental bikes between years 2011 and 2012 in Capital bikeshare system with the corresponding weather and seasonal information. This dataset contains RSSI readings gathered from an array of Bluetooth Low Energy (BLE) iBeacons in a real-world and operational indoor environment for localization and navigation purposes. Instances in this dataset contain features extracted from blog posts. The task associated with the data is to predict how many comments the post will receive. Data taken from the Blood Transfusion Service Center in Hsin-Chu City in Taiwan — this is a classification problem. Clinical features were observed or measured for 64 patients with breast cancer and 52 healthy controls. Dataset with electrical impedance measurements of freshly excised tissue samples from the breast. One of the primary challenges in identifying the risks of the Burst Header Packet (BHP) flood attacks in Optical Burst Switching networks (OBS) is the scarcity of reliable historical data. This data-set contains examples of buzz events from two different social networks: Twitter, and Tom’s Hardware, a forum network focusing on new technology with more conservative dynamics. This dataset contains information about caesarian section results of 80 pregnant women with the most important characteristics of delivery problems in the medical field. This data comes from the main door of the CalIt2 building at UCI. Derived from simple hierarchical decision model, this database may be useful for testing constructive induction and structure discovery methods. This dataset contains 10721 initial and calculated atomic coordinates of carbon nanotubes. The dataset consists of measurements of fetal heart rate (FHR) and uterine contraction (UC) features on cardiotocograms classified by expert obstetricians. Sanitized and anonymized Cargo 2000 (C2K) airfreight tracking and tracing events, covering five months of business execution (3,942 process instances, 7,932 transport legs, 56,082 activities). This data set contains weighted census data extracted from the 1994 and 1995 current population surveys conducted by the U.S. Census Bureau. This dataset focuses on the prediction of indicators/diagnosis of cervical cancer. The features cover demographic information, habits, and historic medical records. Character images from scanned and computer generated fonts. Multiple, labelled samples of pen tip trajectories recorded whilst writing individual characters. All samples are from the same writer, for the purposes of primitive extraction. Only characters with a single pen-down segment were considered. Chess Endgame Database for White King and Rook against Black King (KRK). King+Rook versus King+Pawn on a7 (usually abbreviated KRKPA7). ChIP-seq experiments characterize protein modifications or binding at specific genomic locations in specific samples. The machine learning problem in these data is structured binary classification. This dataset can be used to predict the chronic kidney disease and it can be collected from the hospital nearly 2 months of period. Given Latin hypercube samples of 18 climate model input parameter values, predict climate model simulation crashes and determine the parameter value combinations that cause the failures. This data set is from the 1999 Computational Intelligence and Learning (COIL) competition. The data contains measurements of river chemical concentrations and algae densities. The dataset contains 9568 data points collected from a Combined Cycle Power Plant over 6 years (2006-2011), when the plant was set to work with full load. Communities within the United States. The data combines socio-economic data from the 1990 US Census, law enforcement data from the 1990 US LEMAS survey, and crime data from the 1995 FBI UCR. Relative CPU Performance Data, described in terms of its cycle time, memory size, etc. Concrete is the most important material in civil engineering. The concrete compressive strength is a highly nonlinear function of age and ingredients. Concrete is a highly complex material. The slump flow of concrete is not only determined by the water content, but that is also influenced by other concrete ingredients. Data have been generated from a sophisticated simulator of a Gas Turbines (GT), mounted on a Frigate characterized by a COmbined Diesel eLectric And Gas (CODLAG) propulsion plant type. The data set addresses the condition assessment of a hydraulic test rig based on multi sensor data. Four fault types are superimposed with several severity grades impeding selective quantification. The task is to train a network to discriminate between sonar signals bounced off a metal cylinder and those bounced off a roughly cylindrical rock. Speaker independent recognition of the eleven steady state vowels of British English using a specified training set of lpc derived log area ratios. A container crane has the function of transporting containers from one point to another point. Dataset is a subset of the 1987 National Indonesia Contraceptive Prevalence Survey. Crowdsourced data from OpenStreetMap is used to automate the classification of satellite images into different land cover classes (impervious, farm, forest, grass, orchard, water). This dataset contains information about wart treatment results of 90 patients using cryotherapy. 12 features categorized as conventional and social media features. Both conventional features, collected from movies databases on Web as well as social media features(YouTube,Twitter). This Data set provides preprocessed and cleaned vital signals which can be used in designing algorithms for cuff-less estimation of the blood pressure. The dataset comprises motion sensor data of 19 daily and sports activities each performed by 8 subjects in their own style for 5 minutes. Five Xsens MTx units are used on the torso, arms, and legs. The dataset was collected during 60 days, this is a real database of a brazilian logistics company. This dataset contains the annotated readings of 3 acceleration sensors at the hip and leg of Parkinson’s disease patients that experience freezing of gait (FoG) during walking tasks. Recordings of 16 volunteers performing 14 Activities of Daily Living (ADL) while carrying a single wrist-worn tri-axial accelerometer. Features are extracted from motor current. The motor has intact and defective components. This results in 11 different classes with different conditions. It contains 64 e-mails which I have manually collected from DBWorld mailing list. They are classified in: ‘announces of conferences’ and ‘everything else’. This research aimed at the case of customers’ default payments in Taiwan and compares the predictive accuracy of probability of default among six data mining methods. A Data Set for Multi-Label Multi-Instance Learning with Instance Labels: This dataset includes 1) 12234 documents (8251 training, 3983 test) extracted from DeliciousT140 dataset, 2) class labels for all documents, 3) labels for a subset of sentences of the test documents. Marine sponges of the Demospongiae class classification domain. Aim for this dataset is to determine the type of Eryhemato-Squamous Disease. I extract features from malacious and non-malacious and create and training dataset to teach svm classifier.Dataset made of unknown executable to detect if it is virus or normal safe executable. This dataset addresses the lack of public botnet datasets, especially for the IoT. It suggests *real* traffic data, gathered from 9 commercial IoT devices authentically infected by Mirai and BASHLITE. This is an image database of Handwritten Devanagari characters. There are 46 classes of characters with 2000 examples each. The dataset is split into training set(85%) and testing set(15%). DEXTER is a text classification problem in a bag-of-word representation. This is a two-class classification problem with sparse continuous input variables. This dataset is one of five datasets of the NIPS 2003 feature selection challenge. This data has been prepared to analyze factors related to readmission as well as other outcomes pertaining to patients with diabetes. This dataset contains features extracted from the Messidor image set to predict whether an image contains signs of diabetic retinopathy or not. Discrete Tone Images(DTI)are available which needs to be analyzed in detail. Here, we created this dataset for those who do research in DTI. The dataset was used to test an architecture based on a trust model capable to cope with the evaluation of the trustworthiness of users interacting in pervasive environments. DOROTHEA is a drug discovery dataset. Chemical compounds represented by structural molecular features must be classified as active (binding to thrombin) or inactive. This is one of 5 datasets of the NIPS 2003 feature selection challenge. Dota 2 is a popular computer game with two teams of 5 players. At the start of the game each player chooses a unique hero with different strengths and weaknesses. This dataset contains weekly data for the Dow Jones Industrial Index. It has been used in computational investing research. This dataset contain Attributes of dresses and their recommendations according to their sales.Sales are monitor on the basis of alternate days. The DrivFace contains images sequences of subjects while driving in real scenarios. It is composed of 606 samples of 640×480, acquired over different days from 4 drivers with several facial features. The dataset provides patient reviews on specific drugs along with related conditions. Reviews and ratings are grouped into reports on the three aspects benefits, side effects and overall comment. The dataset provides patient reviews on specific drugs along with related conditions and a 10 star patient rating reflecting overall patient satisfaction. This set Provides data regarding wireless communications between vehicles and road side units. two separate data sets are provided (normal scenario) and in the presence of attacker (jammer). This dataset contains the dynamic features of 107,888 executables, collected by VirusShare from Nov/2010 to Jul/2014. Data giving characteristics of each ORF (potential gene) in the E. coli genome. Sequence, homology (similarity to other genes) and structural information, and function (if known) are provided. Predict a pattern of neurodegeneration in the dataset of speech features obtained from patients with early untreated Parkinson’s disease and patients at high risk developing Parkinson’s disease. This dataset includes Online Textual Reviews from both online (e.g., TripAdvisor) and offline (e.g., Guests’ book) sources from the Areias do Seixo Eco-Resort. A Learning Analytics Data Set: Educational Process Mining data set is built from the recordings of 115 subjects’ activities through a logging application while learning with an educational simulator. The data set consists of 14 EEG values and a value indicating the eye state. This database consists on 30 subjects performing Brain Computer Interface for Steady State Visual Evoked Potentials (BCI-SSVEP). The data set contains oceanographic and surface meteorological readings taken from a series of buoys positioned throughout the equatorial Pacific. The local stability analysis of the 4-node star system (electricity producer is in the center) implementing Decentral Smart Grid Control concept. 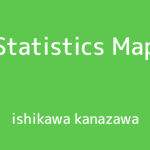 This data set contains electricity consumption of 370 points/clients. 3 different exercises: sitting, standing and walking in the muscles: biceps femoris, vastus medialis, rectus femoris and semitendinosus addition to goniometry in the exercises. The Physical Action Data Set includes 10 normal and 10 aggressive physical actions that measure the human activity. The data have been collected by 4 subjects using the Delsys EMG wireless apparatus. This study looked into assessing the heating load and cooling load requirements of buildings (that is, energy efficiency) as a function of building parameters. This data contains a record of user interactions with the Entree Chicago restaurant recommendation system. This dataset is a pre-processed and re-structured/reshaped version of a very commonly used dataset featuring epileptic seizure detection. It was collected for CAD diagnosis. Instances in this dataset contain features extracted from facebook posts. The task associated with the data is to predict how many comments the post will receive. Facebook performance metrics of a renowned cosmetic’s brand Facebook page. This data was collected from text ads found on twelve websites that deal with various farm animal related topics. The binary labels are based on whether or not the content owner approves of the ad. The data are binary attack-point vectors and their clave-direction class(es) according to the partido-alto-based paradigm. Given a theorem, predict which of five heuristics will give the fastest proof when used by a first-order prover. A sixth prediction declines to attempt a proof, should the theorem be too difficult. A Dataset For Music Analysis: FMA features 106,574 tracks and includes song title, album, artist, genres; play counts, favorites, comments; description, biography, tags; together with audio (343 days, 917 GiB) and features. 20 photos of leaves for each of 32 different species. This is a difficult regression task, where the aim is to predict the burned area of forest fires, in the northeast region of Portugal, by using meteorological and other data (see details at: http://www.dsi.uminho.pt/~pcortez/forestfires). Multi-temporal remote sensing data of a forested area in Japan. The goal is to map different forest types using spectral data. This archive contains 13910 measurements from 16 chemical sensors utilized in simulations for drift compensation in a discrimination task of 6 gases at various levels of concentrations. This archive contains 13910 measurements from 16 chemical sensors exposed to 6 different gases at various concentration levels. A chemical detection platform composed of 8 chemoresistive gas sensors was exposed to turbulent gas mixtures generated naturally in a wind tunnel. The acquired time series of the sensors are provided. The data set contains the recordings of 16 chemical sensors exposed to two dynamic gas mixtures at varying concentrations. For each mixture, signals were acquired continuously during 12 hours. The data set contains 58 time series acquired from 16 chemical sensors under gas flow modulation conditions. The sensors were exposed to different gaseous binary mixtures of acetone and ethanol. 100 recordings of a sensor array under different conditions in a home setting: background, wine and banana presentations. The array includes 8 MOX gas sensors, and humidity and temperature sensors. This dataset contains features extracted from colonoscopy videos used to detect gastrointestinal lesions. It contains 76 lesions: 15 serrated adenomas, 21 hyperplastic lesions and 40 adenoma. This collection of data is part of the RNA-Seq (HiSeq) PANCAN data set, it is a random extraction of gene expressions of patients having different types of tumor: BRCA, KIRC, COAD, LUAD and PRAD. Instances in this dataset contain audio features extracted from 1059 wave files. The task associated with the data is to predict the geographical origin of music. The dataset is composed by features extracted from 7 videos with people gesticulating, aiming at studying Gesture Phase Segmentation. It contains 50 attributes divided into two files for each video. GISETTE is a handwritten digit recognition problem. The problem is to separate the highly confusible digits ‘4’ and ‘9’. This dataset is one of five datasets of the NIPS 2003 feature selection challenge. The data-set contains four (4) sets of mobile sensor readings data (humidity, temperature) corresponding to a swarm of four (4) Unmanned Surface Vehicles (USVs) in a test-bed in Athens (Greece). The data-set contains eight (2×4) data-sets of mobile sensor readings data (humidity, temperature) corresponding to a swarm of four Unmanned Surface Vehicles (USVs) in a test-bed, Athens, Greece. The dataset has been feed by Android app called Go!Track. It is available at Goolge Play Store(https://play.google.com/store/apps/details?id=com.go.router). This dataset supports the development of models that make possible to interpret Grammatical Facial Expressions from Brazilian Sign Language (Libras). Design an observing network to monitor emissions of a greenhouse gas (GHG) in California given time series of synthetic observations and tracers from weather model simulations. Hepatocellular Carcinoma dataset (HCC dataset) was collected at a University Hospital in Portugal. It contains real clinical data of 165 patients diagnosed with HCC. 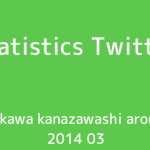 The data was collected in 2015 using Twitter API. This dataset contains health news from more than 15 major health news agencies such as BBC, CNN, and NYT. The search for exotic particles requires sorting through a large number of collisions to find the events of interest. This data set challenges one to detect a new particle of unknown mass. The Heterogeneity Human Activity Recognition (HHAR) dataset from Smartphones and Smartwatches is a dataset devised to benchmark human activity recognition algorithms (classification, automatic data segmentation, sensor fusion, feature extraction, etc.) 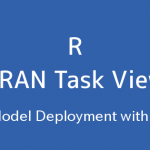 in real-world contexts; specifically, the dataset is gathered with a variety of different device models and use-scenarios, in order to reflect sensing heterogeneities to be expected in real deployments. This is a classification problem to distinguish between a signal process which produces Higgs bosons and a background process which does not. Each record represents 100 points on a two-dimensional graph. When plotted in order (from 1 through 100) as the Y co-ordinate, the points will create either a Hill (a bump in the terrain) or a Valley (a dip in the terrain). The data contains lists of octamers (8 amino acids) and a flag (-1 or 1) depending on whether HIV-1 protease will cleave in the central position (between amino acids 4 and 5). Pulsar candidates collected during the HTRU survey. Pulsars are a type of star, of considerable scientific interest. Candidates must be classified in to pulsar and non-pulsar classes to aid discovery. Human Activity Recognition database built from the recordings of 30 subjects performing activities of daily living (ADL) while carrying a waist-mounted smartphone with embedded inertial sensors. The dataset was created for the comparison and evaluation of hybrid indoor positioning methods. The dataset presented contains data from W-LAN and Bluetooth interfaces, and Magnetometer. This data set compromises the metadata for the 2014 ICMLA conference’s accepted papers, including ID, paper titles, author’s keywords, abstracts and sessions in which they were exposed. Data set prepared for the use of participants for the 1994 AAAI Spring Symposium on Artificial Intelligence in Medicine. The dataset consists of data collected from heavy Scania trucks in everyday usage. This data set contains 10 variables that are age, gender, total Bilirubin, direct Bilirubin, total proteins, albumin, A/G ratio, SGPT, SGOT and Alkphos. This dataset contains information about wart treatment results of 90 patients using immunotherapy. Handwriting database consists of 25 PWP(People with Parkinson) and 15 healthy individuals.Three types of recordings (Static Spiral Test, Dynamic Spiral Test and Stability Test) are taken. Measurements of electric power consumption in one household with a one-minute sampling rate over a period of almost 4 years. Different electrical quantities and some sub-metering values are available. This dataset contains temporal data from a Wireless Sensor Network deployed in real-world office environments. The task is intended as real-life benchmark in the area of Ambient Assisted Living. This dataset represents a set of possible advertisements on Internet pages. This data contains general demographic information on internet users in 1997. This data set contains unweighted PUMS census data from the Los Angeles and Long Beach areas for the years 1970, 1980, and 1990. Goal: Predict which letter-name was spoken–a simple classification task. Data sets includes returns of Istanbul Stock Exchange with seven other international index; SP, DAX, FTSE, NIKKEI, BOVESPA, MSCE_EU, MSCI_EM from Jun 5, 2009 to Feb 22, 2011. This dataset records 640 time series of 12 LPC cepstrum coefficients taken from nine male speakers. KASANDR is a novel, publicly available collection for recommendation systems that records the behavior of customers of the European leader in e-Commerce advertising, Kelkoo. KDC-4007 dataset Collection is the Kurdish Documents Classification text used in categories regarding Kurdish Sorani news and articles. KEGG Metabolic pathways modeled as un-directed reaction network. Variety of graphical features presented. KEGG Metabolic pathways modeled as directed relation network. Variety of graphical features presented. This dataset includes quantitative and categorical features from online reviews from 21 hotels located in Las Vegas Strip, extracted from TripAdvisor (http://www.tripadvisor.com). This dataset consists in a collection of shape and texture features extracted from digital images of leaf specimens originating from a total of 40 different plant species. A textual corpus of 4000 legal cases for automatic summarization and citation analysis. For each document we collect catchphrases, citations sentences, citation catchphrases and citation classes. The data set contains 15 classes of 24 instances each. Each class references to a hand movement type in LIBRAS (Portuguese name ‘Lngua BRAsileira de Sinais’, oficial brazilian signal language). Data contains recordings of five people performing different activities. Each person wore four sensors (tags) while performing the same scenario five times. 126 samples from 14 participants, 309 features. Aim: assess whether voice rehabilitation treatment lead to phonations considered ‘acceptable’ or ‘unacceptable’ (binary class classification problem). The data here are the ZZAlpha® machine learning recommendations made for various US traded stock portfolios the morning of each day during the 3 year period Jan 1, 2012 – Dec 31, 2014. MADELON is an artificial dataset, which was part of the NIPS 2003 feature selection challenge. This is a two-class classification problem with continuous input variables. The difficulty is that the problem is multivariate and highly non-linear. Discrimination of benign and malignant mammographic masses based on BI-RADS attributes and the patient’s age. Mesothelioma’s disease data set were prepared at Dicle University Faculty of Medicine in Turkey. Three hundred and twenty-four Mesothelioma patient data. In the dataset, all samples have 34 features. Meta-Data was used in order to give advice about which classification method is appropriate for a particular dataset (taken from results of Statlog project). This dataset contains keystroke dynamics data collected on a touch mobile device (Nexus 7). The dataset contains 2856 records, 51 records per subject for 56 subjects. The MHEALTH (Mobile Health) dataset is devised to benchmark techniques dealing with human behavior analysis based on multimodal body sensing. Expression levels of 77 proteins measured in the cerebral cortex of 8 classes of control and Down syndrome mice exposed to context fear conditioning, a task used to assess associative learning. MicroblogPCU data is crawled from sina weibo microblog[http://weibo.com/]. This data can be used to study machine learning methods as well as do some social network research. A dataset to explore machine learning approaches for the identification of microorganisms from mass-spectrometry data. This dataset is taken from the MiniBooNE experiment and is used to distinguish electron neutrinos (signal) from muon neutrinos (background). 5 types of hand postures from 12 users were recorded using unlabeled markers attached to fingers of a glove in a motion capture environment. Due to resolution and occlusion, missing values are common. 5 types of hand postures from 12 users were recorded using unlabeled markers on fingers of a glove in a motion capture environment. Due to resolution and occlusion, missing values are common. This data describes the page visits of users who visited msnbc.com on September 28, 1999. Visits are recorded at the level of URL category (see description) and are recorded in time order. This dataset was collected by Shan-Hung Wu and DataLab members at NTHU, Taiwan. There’re 325 user-perceived clusters from 100 users and their corresponding descriptions. 5879 captioned images (image and text) from social media related to damage during natural disasters/wars, and belong to 6 classes: Fires, Floods, Natural landscape, Infrastructural, Human, Non-damage. References to news pages collected from an web aggregator in the period from 10-March-2014 to 10-August-2014. The resources are grouped into clusters that represent pages discussing the same story. Large data set of news items and their respective social feedback on multiple platforms: Facebook, Google+ and LinkedIn. Dataset is well suited for segmentation tasks. It contains 101 scanned pages from different newspapers and magazines in Russian with ground truth pixel-based masks. This data set contains the distribution of words in the full text of the NIPS conference papers published from 1987 to 2015. Corpus intended to do cleaning (or binarization) and enhancement of noisy grayscale printed text images using supervised learning methods. Noisy images and their corresponding ground truth provided. Nomao collects data about places (name, phone, localization…) from many sources. Deduplication consists in detecting what data refer to the same place. Instances in the dataset compare 2 spots. Northix is designed to be a schema matching benchmark problem for data integration of two entity relationship databases. Nursery Database was derived from a hierarchical decision model originally developed to rank applications for nursery schools. NYSK (New York v. Strauss-Kahn) is a collection of English news articles about the case relating to allegations of sexual assault against the former IMF director Dominique Strauss-Kahn (May 2011). Experimental data used for binary classification (room occupancy) from Temperature,Humidity,Light and CO2. Ground-truth occupancy was obtained from time stamped pictures that were taken every minute. Sixteen samples of leaf each of one-hundred plant species. For each sample, a shape descriptor, fine scale margin and texture histogram are given. This is a dataset of 8235 online handwritten assamese characters. The ‘online’ process involves capturing of data as text is written on a digitizing tablet with an electronic pen. This dataset summarizes a heterogeneous set of features about articles published by Mashable in a period of two years. 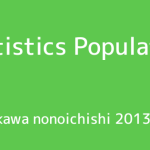 The goal is to predict the number of shares in social networks (popularity). This is a transnational data set which contains all the transactions occurring between 01/12/2010 and 09/12/2011 for a UK-based and registered non-store online retail. Of the 12,330 sessions in the dataset, 84.5% (10,422) were negative class samples that did not end with shopping, and the rest (1908) were positive class samples ending with shopping. The dataset contains a million randomly sampled video instances listing 10 fundamental video characteristics along with the YouTube video ID. Open University Learning Analytics Dataset contains data about courses, students and their interactions with Virtual Learning Environment for seven selected courses and more than 30000 students. This dataset contains sentences extracted from user reviews on a given topic. Example topics are ‘performance of Toyota Camry’ and ‘sound quality of ipod nano’. This data set contains user reviews of cars and and hotels collected from Tripadvisor (~259,000 reviews) and Edmunds (~42,230 reviews). The OPPORTUNITY Dataset for Human Activity Recognition from Wearable, Object, and Ambient Sensors is a dataset devised to benchmark human activity recognition algorithms (classification, automatic data segmentation, sensor fusion, feature extraction, etc). This dataset contains 640 performance measurements from a simulation of 2-Dimensional Multiprocessor Optical Interconnection Network. Two ground ozone level data sets are included in this collection. One is the eight hour peak set (eighthr.data), the other is the one hour peak set (onehr.data). Those data were collected from 1998 to 2004 at the Houston, Galveston and Brazoria area. The goal is to model mutant p53 transcriptional activity (active vs inactive) based on data extracted from biophysical simulations. The problem consists of classifying all the blocks of the page layout of a document that has been detected by a segmentation process. The PAMAP2 Physical Activity Monitoring dataset contains data of 18 different physical activities, performed by 9 subjects wearing 3 inertial measurement units and a heart rate monitor. PANDOR is a novel and publicly available dataset for online recommendation provided by Purch (http://www.purch.com/). This sentiment analysis data set contains scientific paper reviews from an international conference on computing and informatics. The task is to predict the orientation or the evaluation of a review. Handwriting database consists of 62 PWP(People with Parkinson) and 15 healthy individuals. Three types of recordings (Static Spiral Test, Dynamic Spiral Test and Stability Test) are taken. The training data belongs to 20 Parkinson’s Disease (PD) patients and 20 healthy subjects. From all subjects, multiple types of sound recordings (26) are taken. The data used in this study were gathered from 188 patients with PD (107 men and 81 women) with ages ranging from 33 to 87 (65.1±10.9). 15 months worth of daily data (440 daily records) that describes the occupancy rate, between 0 and 1, of different car lanes of the San Francisco bay area freeways across time. This data consists of odors of 20 different perfumes. Data was obtained by using a handheld odor meter (OMX-GR sensor) per second for 28 seconds period. This dataset collected mainly from: PhishTank archive, MillerSmiles archive, Google’s searching operators. The dataset is generated from Physical Unclonable Functions (PUFs) simulation, specifically XOR Arbiter PUFs. PUFs are used for authentication purposes. For more info, refer to our paper below. This is a data set of Physicochemical Properties of Protein Tertiary Structure. The data set is taken from CASP 5-9. There are 45730 decoys and size varying from 0 to 21 armstrong. The dataset concerns with the classification of two mental stages from recorded EEG signals: Planning (during imagination of motor act) and Relax state. Data has been extracted from the USDA plants database. It contains all plants (species and genera) in the database and the states of USA and Canada where they occur. This hourly data set contains the PM2.5 data in Beijing, Shanghai, Guangzhou, Chengdu and Shenyang. Meanwhile, meteorological data for each city are also included. The handwritten dataset was collected from 170 participants with a total of 5,180 numeral patterns. The dataset is named Prince Mohammad Bin Fahd University – Urdu/Arabic Database (PMU-UD). The dataset is about bankruptcy prediction of Polish companies.The bankrupt companies were analyzed in the period 2000-2012, while the still operating companies were evaluated from 2007 to 2013. The data from Twitter was collected during 360 consecutive days. It was done by querying 1497 English keywords sampled from Wikipedia. 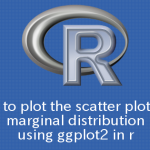 This dataset is proposed in a Learning to rank setting. Assorted domains like blocksworld, eightpuzzle, and schedworld. This data set is designed for testing indexing schemes in time series databases. The data appears highly periodic, but never exactly repeats itself. These highly imbalanced bioassay datasets are from the differing types of screening that can be performed using HTS technology. 21 datasets were created from 12 bioassays. Data set containing values for 41 attributes (molecular descriptors) used to classify 1055 chemicals into 2 classes (ready and not ready biodegradable). Predict the Bankruptcy from Qualitative parameters from experts. This dataset explores the subjective quality assessment of digital colposcopies. The ‘real estate valuation’ is a regression problem. The market historical data set of real estate valuation are collected from Sindian Dist., New Taipei City, Taiwan. Element-wise comparison of records with personal data from a record linkage setting. The task is to decide from a comparison pattern whether the underlying records belong to one person. The dataset consists of 384 features extracted from CT images. The class variable is numeric and denotes the relative location of the CT slice on the axial axis of the human body. The dataset contains 7 datasets of User – Item matrices, where each entry represents how many times a user consumed an item. Item is used as an umbrella term for various categories. Data set includes construction cost, sale prices, project variables, and economic variables corresponding to real estate single-family residential apartments in Tehran, Iran. The dataset was obtained from a recommender system prototype. The task was to generate a top-n list of restaurants according to the consumer preferences. This test collection contains feature characteristics of documents originally written in five different languages and their translations, over a common set of 6 categories. This dataset is created by reading out 200 files from the 10 largest Reuters classes and using an Automatic Speech Recognition system to create corresponding transcriptions. Roman Urdu (the scripting style for Urdu language) is one of the limited resource languages.A data corpus comprising of more than 20000 records was collected. Contains weekly purchased quantities of 800 over products over 52 weeks. Normalised values are provided too. First self-care activities dataset based on ICF-CY. Measurements of geometrical properties of kernels belonging to three different varieties of wheat. A soft X-ray technique and GRAINS package were used to construct all seven, real-valued attributes. The data describe the problem of high energy (higher than 10^4 J) seismic bumps forecasting in a coal mine. Data come from two of longwalls located in a Polish coal mine. 1593 handwritten digits from around 80 persons were scanned, stretched in a rectangular box 16×16 in a gray scale of 256 values. The ‘sEMG for Basic Hand movements’ includes 2 databases of surface electromyographic signals of 6 hand movements using Delsys’ EMG System. Healthy subjects conducted six daily life grasps. Contains sentences from the abstract and introduction of 30 articles annotated with a modified Argumentative Zones annotation scheme. These articles come from biology, machine learning and psychology. The dataset contains sentences labelled with positive or negative sentiment. The dataset is about the users’ learning activities and knowledge levels on subjects of DC Electrical Machines. 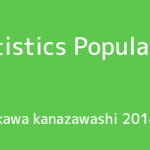 The dataset had been obtained from online web-courses and reported in my Ph.D. Thesis. Running times for multiplying two 2048 x 2048 matrices using a GPU OpenCL SGEMM kernel with varying parameters (using the library ‘CLTune’). In SIFT10M, each data point is a SIFT feature which is extracted from Caltech-256 by the open source VLFeat library. The corresponding patches of the SIFT features are provided. 20 falls and 16 daily living activities were performed by 17 volunteers with 5 repetitions while wearing 6 sensors (3.060 instances) that attached to their head, chest, waist, wrist, thigh and ankle. This data was used in Thompson et al. (2013). A list of possible game actions is discussed in Thompson, Blair, Chen, & Henrey (2013). The Skin Segmentation dataset is constructed over B, G, R color space. Skin and Nonskin dataset is generated using skin textures from face images of diversity of age, gender, and race people. This data is an addition to an existing dataset on UCI. We collected more data to improve the accuracy of our human activity recognition algorithms applied in the domain of Ambient Assisted Living. Activity recognition data set built from the recordings of 30 subjects performing basic activities and postural transitions while carrying a waist-mounted smartphone with embedded inertial sensors. This dataset is collected from a monitor system mounted in a domotic house. It corresponds to approximately 40 days of monitoring data. The SMS Spam Collection is a public set of SMS labeled messages that have been collected for mobile phone spam research. Data on cardiac Single Proton Emission Computed Tomography (SPECT) images. Each patient classified into two categories: normal and abnormal. This dataset contains timeseries of mel-frequency cepstrum coefficients (MFCCs) corresponding to spoken Arabic digits. Includes data from 44 male and 44 female native Arabic speakers. 1000 sports articles were labeled using Amazon Mechanical Turk as objective or subjective. The raw texts, extracted features, and the URLs from which the articles were retrieved are provided. This dataset is an image segmentation database similar to a database already present in the repository (Image segmentation database) but in a slightly different form. 3D objects within a 2D image by application of an ensemble of shape feature extractors to the 2D silhouettes of the objects. The data set of performances of weighted scoring stock portfolios are obtained with mixture design from the US stock market historical database. Stone flakes are waste products of the stone tool production in the prehistoric era. The variables are means of geometric and stylistic features of the flakes contained in different inventories. The dataset tried to find the end semester percentage prediction based on different social, economic and academic attributes. Predict student performance in secondary education (high school). Two file s contain data on 21263 superconductors and their relevant features. This is a classification problem to distinguish between a signal process which produces supersymmetric particles and a background process which does not. This data consists of synthetically generated control charts. Google reviews on attractions from 24 categories across Europe are considered. Google user rating ranges from 1 to 5 and average user rating per category is calculated. An accurate dataset describing trajectories performed by all the 442 taxis running in the city of Porto, in Portugal. This is a collection of 8 files containing the match statistics for both women and men at the four major tennis tournaments of the year 2013. Each file has 42 columns and a minimum of 76 rows. The data is dedicated to classification problem related to the post-operative life expectancy in the lung cancer patients: class 1 – death within one year after surgery, class 2 – survival. Reviews on destinations in 10 categories mentioned across East Asia. Each traveler rating is mapped as Excellent(4), Very Good(3), Average(2), Poor(1), and Terrible(0) and average rating is used. Benchmark dataset for Turkish text categorization: The TTC-3600 data set is a collection of Turkish news and articles including categorized 3,600 documents from 6 well-known portals in Turkey. It has 4 different forms in ARFF Weka format. This data set contains a total 5820 evaluation scores provided by students from Gazi University in Ankara (Turkey). There is a total of 28 course specific questions and additional 5 attributes. TV Commercials data set consists of standard audio-visual features of video shots extracted from 150 hours of TV news broadcast of 3 Indian and 2 international news channels ( 30 Hours each). This data set consists of 20000 messages taken from 20 newsgroups. 5 replicates of an 8-MOX gas sensor array were exposed to different gas conditions (4 volatiles at 10 concentration levels each). This problem of Sentiment Analysis (SA) has been studied well on the English language but not Arabic one. Two main approaches have been devised: corpus-based and lexicon-based. UbiqLog is the smartphone lifelogging tool that runs on the smartphone of 35 users for about 2 months. The UJIIndoorLoc is a Multi-Building Multi-Floor indoor localization database to test Indoor Positioning System that rely on WLAN/WiFi fingerprint. The UJIIndoorLoc-Mag is an indoor localization database to test Indoor Positioning System that rely on Earth’s magnetic field variations. Persian questions gathered from a jeopardy game broadcasted on Iranian national television. This file contains 9 sets of sanitized user data drawn from the command histories of 8 UNIX computer users at Purdue over the course of up to 2 years. Classification of urban land cover using high resolution aerial imagery. Intended to assist sustainable urban planning efforts. Anonymized 120-day subset of the ICML-09 URL data containing 2.4 million examples and 3.2 million features. The USCensus1990raw data set contains a one percent sample of the Public Use Microdata Samples (PUMS) person records drawn from the full 1990 census sample. The dataset collects data from an Android smartphone positioned in the chest pocket from 22 participants walking in the wild over a predefined path. It is the real dataset about the students’ knowledge status about the subject of Electrical DC Machines. The dataset had been obtained from Ph.D. Thesis. Pat: Data used for USPTO Algorithm Competition. Contains drawing pages from US patents with manually labeled figure and part labels. Data set containing values for six biomechanical features used to classify orthopaedic patients into 3 classes (normal, disk hernia or spondilolysthesis) or 2 classes (normal or abnormal). The Physical Action Data Set includes 10 normal and 10 aggressive physical actions that measure the human activity. The data have been collected by 10 subjects using the Vicon 3D tracker. The JARtool project was a pioneering effort to develop an automatic system for cataloging small volcanoes in the large set of Venus images returned by the Magellan spacecraft. The data were collected as the SCITOS G5 robot navigates through the room following the wall in a clockwise direction, for 4 rounds, using 24 ultrasound sensors arranged circularly around its ‘waist’. Classification of Body Postures and Movements (PUC-Rio): A dataset with 5 classes (sitting-down, standing-up, standing, walking, and sitting) collected on 8 hours of activities of 4 healthy subjects. We also established a baseline performance index. Six young health subjects were asked to perform 5 variations of the biceps curl weight lifting exercise. One of the variations is the one predicted by the health professional. WESAD (Wearable Stress and Affect Detection) contains data of 15 subjects during a stress-affect lab study, while wearing physiological and motion sensors. High-resolution Remote Sensing data set (Quickbird). Small number of training samples of diseased trees, large number for other land cover. Testing data set from stratified random sample of image. Two datasets are included, related to red and white vinho verde wine samples, from the north of Portugal. The goal is to model wine quality based on physicochemical tests (see [Cortez et al., 2009], http://www3.dsi.uminho.pt/pcortez/wine/). Collected in indoor space by observing signal strengths of seven WiFi signals visible on a smartphone. The decision variable is one of the four rooms. Delft data set, used to predict the hydodynamic performance of sailing yachts from dimensions and velocity. Prediction of the release year of a song from audio features. Songs are mostly western, commercial tracks ranging from 1922 to 2011, with a peak in the year 2000s. This dataset provides user vote data on which video from a pair of videos is funnier collected on YouTube Comedy Slam. The task is to automatically predict this preference based on video metadata. This dataset contains about 120k instances, each described by 13 feature types, with class information, specially useful for exploring multiview topics (cotraining, ensembles, clustering,..). It is a public set of comments collected for spam research. It has five datasets composed by 1,956 real messages extracted from five videos that were among the 10 most viewed on the collection period.